Lots of people are in search of ways to improve their smiles, but far fewer people are anxious to accomplish that goal with braces, brackets, and wires on their teeth. Finally, there is one orthodontic solution that addresses both concerns. Invisalign® is a teeth-straightening procedure that uses crystal clear, custom-made aligners designed exclusively for your teeth. Dr. Laura Harkin has served as a certified Invisalign® provider, discreetly aligning smiles since 2008. She voluntarily attends several educational courses each year so that she can stay abreast of the latest Invisalign® methods and procedures. 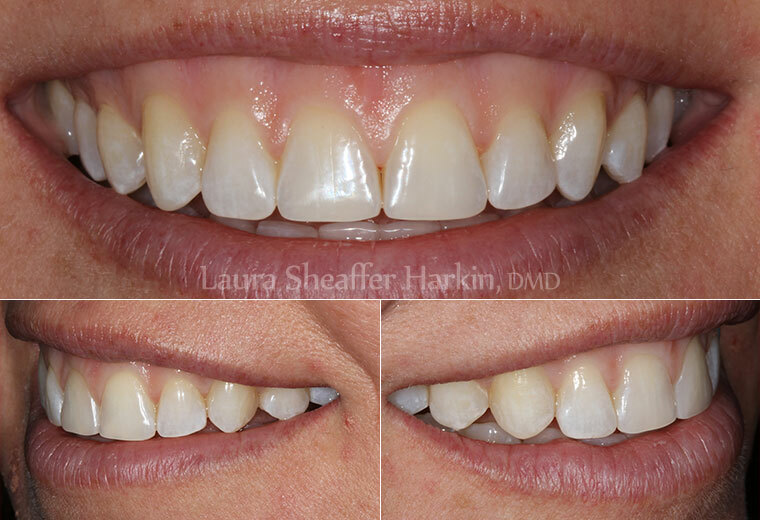 Dr. Harkin prefers a conservative approach, and Invisalign® is the least invasive way to achieve beautiful results. First, we’ll take X-rays and impressions of your teeth that will be converted into 3-Dimensional images. We use these images to create a detailed treatment plan for properly aligning your teeth. You will be able to see a virtual representation of how your teeth will move in each stage of the treatment. To guide your teeth into place, we’ll supply you with a series of custom-made clear aligners, which are made of smooth, medical-grade plastic. You will be instructed to wear each set of aligners for approximately 2 weeks to promote steady, gentle movement. The treatment time varies for each patient, but usually lasts about a year for adults. Teens typically wear the aligners for about the same time-frame that they would wear traditional braces. For the best possible results, we recommend that you wear your aligners around the clock, only removing them for eating and brushing, throughout the treatment. So, you think you’re too old for braces? Many adults want to change their smile but decide against treatment because they feel that metal braces are unprofessional, juvenile, bothersome, or socially unacceptable. Invisalign® provides a metal-free orthodontic solution that is practically invisible, amazingly comfortable, and requires minimal maintenance. The aligners are easily removable when needed and you will notice your smile is gradually transformed with each progression within the series. In addition, Invisalign® provides you with flexibility that you just can’t get with braces. You will be provided with enough aligners to change your trays every two weeks, but will only need to come in for a checkup approximately every six weeks. This convenience translates into less time out of your already-hectic schedule and more progress between visits. For most adults, straightening the teeth isn’t just a cosmetic solution, but a decision that can also influence your overall periodontal health, your speech, and your self-esteem. 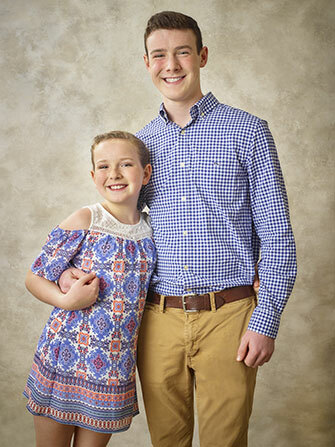 Teens have unique needs when it comes to orthodontic treatment, and Invisalign Teen® addresses those specific needs. Since teens may still have erupting teeth that must be taken into consideration during the orthodontic process, Invisalign Teen® has been designed with special tabs that guide the molars into place as they erupt. As a parent, you can monitor your child’s progress without hovering around, reminding them to wear their aligners. Invisalign Teen® has blue dots on the aligners called compliance indicators which only fade when the trays are being worn regularly. Invisalign Teen® is the perfect way for young adults to straighten their teeth with confidence, giving them the best opportunity for a successful outcome. Aligners are easily removable, so teens can eat comfortably without fear of damaging their appliances. They also can brush their teeth conveniently, and easily clean the trays, enabling them to practice proper oral hygiene throughout their treatment.